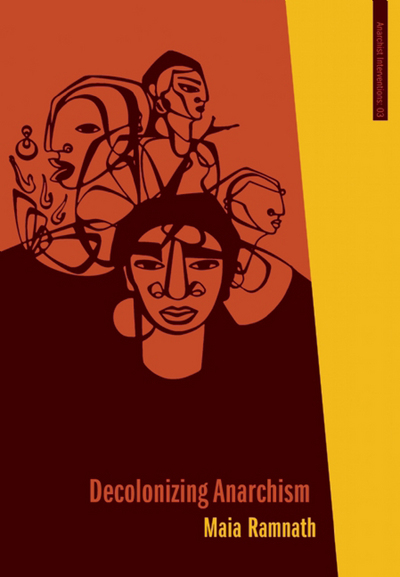 Decolonizing Anarchism, by Maia Ramnath – In this fabulous written book, which is part of the Institute for Anarchist Studies, Maia Ramnath provides us with both a rich history of anti-colonialist resistance in India and a new framework for how allies can think and act about global resistance movements. Ramnath covers a great deal of ground and looks at numerous anti-colonial movements and theorists in India, to demonstrate that there has been tremendous diversity in how Indian people dealt with the British occupation. I also found the analysis of Gandhi to be refreshing, in that it wasn’t so dismissive of his contributions to the liberation struggle that one might get from some anarchist circles. For those of us living in the US and committed to support global liberation movements, Decolonizing Anarchism is an extremely useful tool since it challenges not only our notion of solidarity, it challenges the rigid anti-nationalist position that many anarchists in the west take, while sitting in our position of privilege. Ramnath presents readers with the reality that it is extremely difficult for liberation movements to not operate with nationalistic boundaries, both in terms of physical space, but also because of the backlash by centers of power. An important contribution in anarchist analysis that should be widely read. 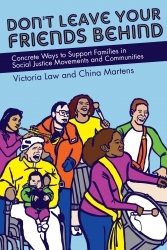 Don’t Leave Your Friends Behind: Concrete Ways to Support Families in Social Justice Movements and Communities, edited by Victoria Law and China Martens – For those who have been involved in activists circles, one thing that is generally an obstacle for some people to participate in radical change is the lack of solidarity with people who have children. Don’t Leave Your Friends Behind is a wonderful collection of essays, interviews and stories from parents and children, about how we need to continue to figure out ways to create spaces and engage in a process that is both welcoming to parents with children and nurturing for them. There are lots of good concrete examples and lists of suggestions on ways to be in solidarity with parents/children, but the aspect of this book I found most delightful was the personal stories. The stories provide a rich diversity of opinions and experiences and they can challenge us to take serious the need to support families in social justice movements. 101 Changemakers: Rebels and Radicals Who Changed US History, edited by Michele Bollinger and Dao X. Tran – Unlike many large picture books, 101 Changemakers is not intended to be a coffee table book. This collection of brief bios on 101 radicals and rebels in US history is a fabulous tool for not only learning about some amazing people in US history, it would be an excellent educational tool for teachers, parents and young activists. The book follows a chronological timeline of US radicals and rebels, beginning with Crispus Attucks, an early revolutionary, and ending with Constance McMillen, a young Lesbian who challenger her school district by bringing her girlfriend to their high school prom. While the biographical information is brief, it does demonstrate a rich history of radicals and rebels in US history and each biography comes with a set of questions for discussion and suggestions of book, documentaries and websites to explore the individuals and movements they were a part of. 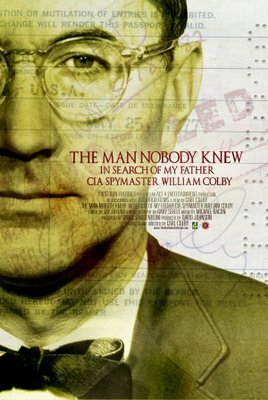 The Man Nobody Knew: In Search of My Father CIA Spymaster William Colby (DVD) – This documentary is an interesting investigation into the career of former CIA Director William Colby. Told through the eyes of former colleagues and his son Carl, The Man Nobody Knew is like watching a documentary version of the Hollywood film The Good Shephard. Colby was part of one of the CIA’s first campaigns, the undermining of the pro-democracy movement in Italy in 1948. However, Colby’s real legacy was in role in the US against Southeast Asia, particularly as head of the Phoenix Program, a CIA assassination campaign against Vietnamese dissidents and Viet Cong supporters. Some might criticize this film as humanizing Colby too much, since it relies on his ex-wife and son so heavily, but the humanizing of Colby demonstrates that people who carry out policy are not psychopaths, they are people who follow orders and have an allegiance to existing power structures. A useful film for those who care to investigate the brutality of US foreign policy.